Last week, I shared how to mix and match 15 different pieces for 15 outfits. 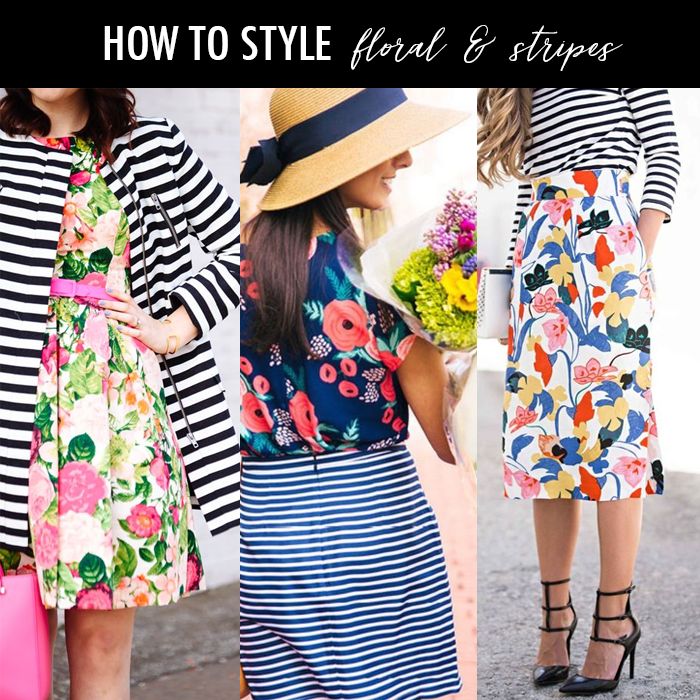 One of the looks was a floral top and striped pencil skirt. My two lovely friends from The Blended Blog, Christy and Deena, went on a fun girls shopping trip - and look what they bought! These girls have been best friends for 33 years - and if you want to read more about their fun girls trip - you can read about it here and here. I like this camel colored knit sweater for fall. This blush hooded sweatshirt is only $20. This contrasting sweatshirt - with gingham sleeves is 40% off. This fun twist on a hooded sweatshirt is 40% off - and one of my favorite brands. I bought this really cute pumpkin decoration for my mother in law for her birthday - and I loved it so much on the fireplace - that I had to buy my own. This fringed black and white plaid clutch is only $15. These leopard pumps are on sale for only $12. I just might have to order this sweatshirt with a cowl neck. I can’t decide which color, though. This cute yellow striped peplum tee is under $40 - and it also comes in other colors. If you really wanted a pair of pink sneakers during the #nsale but they were sold out - well, these new ones are in stock in all sizes. Source // I am participating in the following link-ups. See what an inspiration you are!! Look at those two cuties wearing gems you recommended!! You are a true fashion visionary dear friend! I absolutely love this combination. It's so stylish and unexpected, which makes it super chic! Love this Lisa! Now to convince myself to wear it to work where it will be way out of the corporate comfort zone! Ha! haha, I love that you have them wearing floral and stripes. 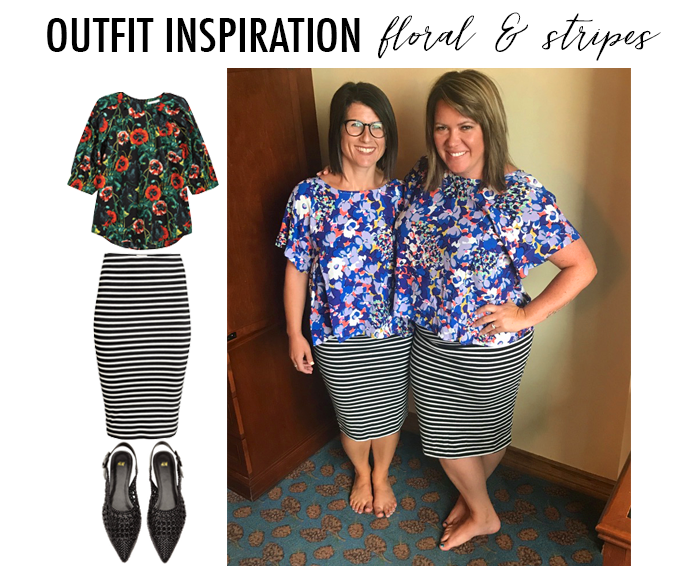 I think I need to put that combination together too...Hey I have a floral top and strip skirt...wonder if it will work together, off to try it out when I get home! I love this combo - and how cute are Deena and Christy? Love these two patterns together :) So chic! I've never actually thought of pairing the two prints together but now that I see them I'm loving the combo! I'll need to give it a try. Thanks for the inspo! I love that, in a way, you were a part of our girls' weekend!